Welcome to the Mobile Elementary School District and our new website. We appreciate your interest. 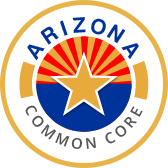 Our dedicated administration and highly-qualified teachers provide excellent education in Maricopa, Arizona. We take pride in our quality programs, caring staff, and active community. Located just minutes from the Phoenix Metropolitan area, our District offers a perfect combination of small-town service and big-city resources. We hope you enjoy your visit to our site. We invite you to check out the latest District news and activities, and see our upcoming events on the District calendar. You’ll find answers to common questions on our FAQ page. This site provides the information you need to be a valuable “partner in learning.” We consider our school to be a valuable community resource, and we hope you will too. As the Mobile Elementary District superintendent, I’m excited to welcome you to our website. I’m proud of the great people and the excellent education we provide. We work hard to offer the guidance and support our children need to succeed. I appreciate your interest and participation in our district and our school. Your support makes a big impact on our students and on our community. As our district motto states: "Partnership in Learning for All."